While I was at the NCTE conference, I was lucky enough to get to meet Jay Asher and Carolyn Mackler. 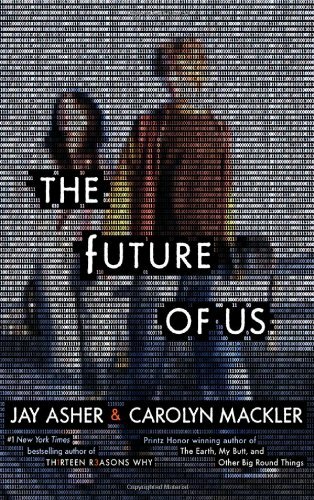 They signed my ARC of The Future of Us, and now I am giving it away here on my blog. Read my review here. I totally blanked on whether or not I entered my tweet link in before hitting enter, but I did tweet! It's right here and I entered as Cheyenne Teska. Sorry about that!